This is cutting edge non-traditional but Holistic Hypnotherapy. Using light Hypnosis and Past Life Regression, I will help your mind to reconnect through the hidden link to your “Higher Self” and your "I AM" to achieve what some would say are "Little Miracles" of Self Healing. This hypnosis technique is so non-invasive, gentle and simple that you might ask "Why has this not been done before?" The answer to this question is Cosmic Timing and the fact that Humanity is now more than ever before spiritually aware, and of a high enough vibration, to understand and accept there are little understood processes that we should now allow into our lives to give us answers. Even some open minded scientists are now starting to pay attention and accept that there are some esoteric theories that should be given some merit in their research. Quantum Healing Hypnosis Technique (QHHT™) is a relatively new, but amazing and unique technique at the forefront of creating well-being for a very wide spectrum of human conditions. Currently, there are so many differing human ills and conditions that science and society has felt it has had to tackle each one on an individual basis, resulting in a plethora of specialist and tailor-made treatments and drugs. QHHT™ is almost the “Silver Bullet” – one that treats all manner of problems and deficiencies using the same technique. Click on the “Who For & What Illnesses” tab on the upper left for examples of what issues QHHT™ has already successfully treated. There are, of course many more, and if you have a chronic or “impossible” situation a simple call could change your world. Whilst QHHT™ covers all types of Physical, Mental, Emotional and Spiritual healing it has clearly been “discovered” for the people. It is not an elite treatment just for the rich. This Holistic Hypnotherapy is for everyone and you deserve to be healthy. Humans were designed to be born in showroom condition. However, it is primarily due to four major influences that during your lifetime your condition becomes tarnished and your body or mind manifests the defects. Firstly, you may have over-interacted with negative people in toxic relationships that have exposed uncontrolled emotions. Perhaps you have taken substances that your body was not designed to ingest. This could be, for example, drinking alcohol, taking drugs or relying on processed "fast" food. Over time your body and mind is battered with the incorrect energies and your cells react accordingly, manifesting in mental or physical dis-ease. Secondly, (open your mind now) you may have experienced trauma in a Past Life. If you had not afterwards resolved (understood or forgiven for example) the trauma, these traumatic memories may be carried over into this Lifetime in cell memories. For example, QHHT™ sessions have proven a person who was hung or burned to death in a former life, may currently experience neck or breathing (e.g. Asthma) problems in this life. QHHT™ will discover this and the mere fact of you realising and accepting this will remove the problem for you in this life. The fourth major influence is “free will”. We have all been granted this and it cannot be interfered with. Some people get comfort from the sympathetic attention of others when they remain "sick". It is an emotional habit that needs to be corrected for long term health. “There is you and me and the change/healing you are here for... if you collaborate with me, the two of us can help you heal. If you collaborate with the illness, there is not much I can do". - Ancient Persian Healer "Avicenna"
So whilst there are many human conditions QHHT™ can address and overcome, Practitioners accept some limitations. Some of these limits are self-imposed within our healing community. 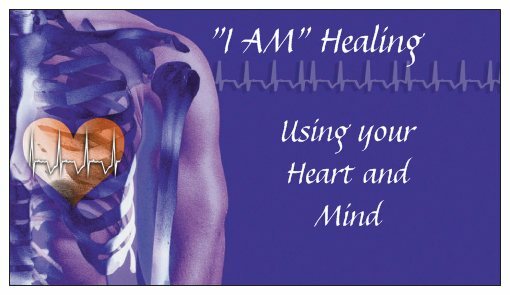 We do ask that the person wishing to be healed can communicate effectively. This rules out, for example, incompatible languages between client and Practitioner and those with Multiple Personality Disorder or Alzheimer’s to name a limited few exceptions. We also will not consider direct interaction with children under 16, although in some special circumstances we can consider trying a “Surrogate” CLICK HERE approach through a loved one provided all Higher Self permissions have been granted beforehand. This is a brand new development that has been recently offered to me in 2014. It will expand the possibilities for QHHT™ practitioners and so I am particularly excited at the potential. It addresses the problem of those who cannot travel to be healed. Healing can take place, through me, to anywhere in the world. There are no geographical limits. A different approach and preparation is required by me and the person to be healed, but I am excited that this opens out new possibilities for those who could not otherwise seek help. To book a Distance Healing session use the contact form and explain your needs CLICK HERE. To get an insight into how this works, click on the "Holistic Hypnosis Healing" tab on the top left. If you would like to book a Session with a Healer in Salisbury "CLICK HERE", fill in your details and send me the enquiry. I will contact you shortly thereafter so we can discuss, without cost or obligation, how I can help you. I have explained this is a relatively new technique practised worldwide. The demand for this unique healing process is very much on the increase, and whilst there are in excess of 2200 of us who have qualified, the sad news is that this is a worldwide number. Nearly 7 billion people on the planet with only 2200 QHHT™ Practitioners means that our services are thinly spread. Dolores Cannon, passed away in October 2014. I do not know how how this will impact on bringing through new practitioners as it was Dolores herself that taught us all using her vast experience. Whilst my practice is based near Salisbury,in Wiltshire UK I will try to help anyone in desperate need, throughout the country and worldwide if possible. I will always attempt to prioritise needy cases in the best way I can. NEIGE - RIP 2003 - 07/08/2017 9:00 P.M. Passed into the Light as I held him in his last moments on Earth - what a dog, what a companion for 13 years! Did everything I ever wished - greatly feared guardian when required but a total softie behind closed doors with friends & family. He always wanted to be very close by me at all times as he knew this was his duty. Handsome beyond description. Was an immense character and dearly loved in the household. For all my personal understanding and beliefs about what this Earth experiment is all about and how we are just learning lessons and we are eternal when we go beyond the veil, I could not withhold my grief at losing him. His unconditional love was gratefully accepted during my darkest hours. Thank you Neige for your support. I hope I will speak to you later - I will try & connect in some way. All my love - xxxxx.